There is no arguing that finding a school place in Dubai can sometimes be like finding a needle in a hay stack! 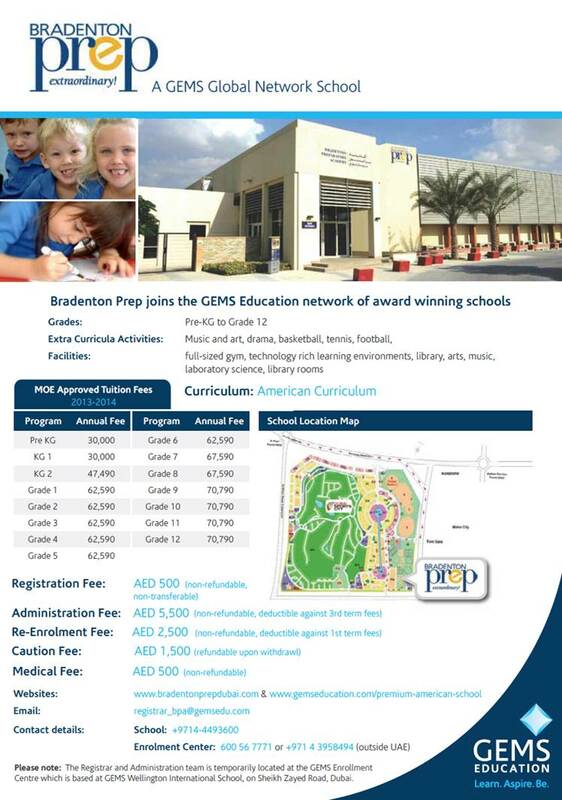 However, if you are looking for your child to study the American Curriculum GEMS Education have informed us that they are pleased to announce the opening of enrollments for Bradenton Prep Academy in Dubai Sports City (BPA) as they have recently taken over the management of the school. For admission for this coming academic year please register online to secure a place. Please note that they have limited places available an will register new students on a first come first served basis. The Registrar and Admissions team for BPA is temporary located at their GEMS Enrolment Centre based at GEMS Wellington International School, off Sheikh Zayed Road, Dubai, Tel; 600 56 7771, Ramadan timings are from 8:30am – 1:30pm.If you are applying from overseas you may email documents to the registrar registrar_bpa@gemsedu.com and pay by bank transfer (details on their website).